Words to live by from an unexpected source, a 3-time NFL pro bowler. Most people remember former Miami Dolphins offensive lineman Keith Sims as one of the guys that helped protect Dan Marino. But I know him mostly as the husband of my friend Tia, and KJ, Jayson, and Justin’s dad. It was because of our friendship, that I started to notice large amounts of products at their home. Stacks and stacks of Glad kitchen trash bags lined the shelves of their kitchen pantry, next to an enormous stash of Crystal Light, and row after row of peanut butter and Propel. I later learned that it was Keith, not Tia that liked to shop. Though Tia was of course (and still is) his inspiration! (Cue cheesy Chicago music…)Yes he is an extreme couponer. I stand corrected, as Keith told me “I wouldn’t call myself an extreme couponer. I would say I’m an advanced couponer”. That’s right, the Sims take saving seriously, and live on a pretty strict budget. They are like any other American family, trying to support five children, provide them an excellent education, and of course feed their family nutritious meals. So here is our conversation, and AWESOME tips to help any family take advantage of huge discounts when shopping for food. Or health and beauty products. Because Keith doesn’t discriminate when it comes to couponing. ME: I have no idea what you made as a professional athlete, but I’m assuming that money isn’t a huge issue for you, so why the interest in couponing? KEITH: I did do quite well for my time in sports, but I also did get divorced. So anyone that has been divorced knows how costly that can be. And I have 5 children, and 4 boys and of course boys can eat, and I think everybody should be saving money. ME: I am embarrassed to admit I’ve never couponed in my life, what are your top tips for people getting started? KEITH: 1. Get to know all your local supermarkets policies because they all have different coupon policies. Some stores like Publix take competitors coupons, so that’s why you have to know the coupon policy. 2. Any way you can – and I am NOT a dumpster diver, but you need to get as many Sunday newspaper inserts as possible. We actually pay for eight Sunday newspapers that are delivered to our house every week. It allows you to get multiple items and stock up. Because that’s the true key in buying things on sale and doubling up coupons, it’s you have to take advantage of a great deal and stock up. 3. Plan Plan Plan—Plan for what sales are. Every store puts their flyer out usually the day the sale starts. Publix comes out in the state of Florida on Thursday. So Thursday morning I’m on the website looking at all the BOGO’s which also helps us plan our meal menu each week. 4. Buy coupons on Ebay—For example this past week the green flyer in Publix had Dole frozen smoothies on sale, they were $1.99 for 2. There was a coupon in the Sunday insert that had $1 off each, so you buy 2 and get a penny back. So I showed that to my daughter and I told her I’m going to order some coupons. So I went on ebay and I bought 40 coupons for $2.50. And now I have 60 Dole frozen smoothies. 5. Make A Vow to Yourself, never to go to the supermarket without a coupon. ME: How much time do you actually spend on this every week? KEITH: I’ve got it down now where I’m spending two hours a week. That’s including Sunday taking all the inserts out and flip through them really quick. Once you know the products you use, you’ll know the coupons. It’s harder to coupon good healthy food, we switched to all organic meat. Like last week I got Greenwise chicken thighs and Porterhouse steaks on sale, and gave those to the chef. ME. You coupon yet you can afford to hire a private chef? KEITH: How do you think I can afford the chef?! I coupon! ME: What’s the biggest savings you ever had? KEITH: I bought Propel Zero, Publix had a sale 20-ouncers for $1 each, and I had a coupon for $2 off 2. So I went to Publix and I ordered 216 which ended up being 19 cases. And I paid $6 dollars for it. Yep, three measly coupons. I will say though, that I did look at the sales ahead of time, and plan our meals this week around the BOGO’s at Publix, which helped tremendously. I also looked on ebay for coupons of the items that were on sale so I could try “doubling up” manufacturer coupons with store coupons, but I didn’t really find any.I’ll give myself a B+ for effort…but I have a LONG way to go. Sigh. Maybe I can convince Keith to go shopping with me and give us more pointers. Thanks to Keith and Tia for letting me into their home, and sharing their pantry photos and savings tips! I found the story full of irony, and wildly amusing because of Keith’s success in the NFL. But the more I talked to him and learned why he does this, it really made me admire him for taking such great care of his family and his future. It’s rare to find an ego-less athlete these days who truly puts family first. And as Keith told me, “football was what I did, it’s not who I am.” If only everyone thought this way about their careers. Please check out Keith and Tia’s newest endeavor, their Soulful RV Family blog! 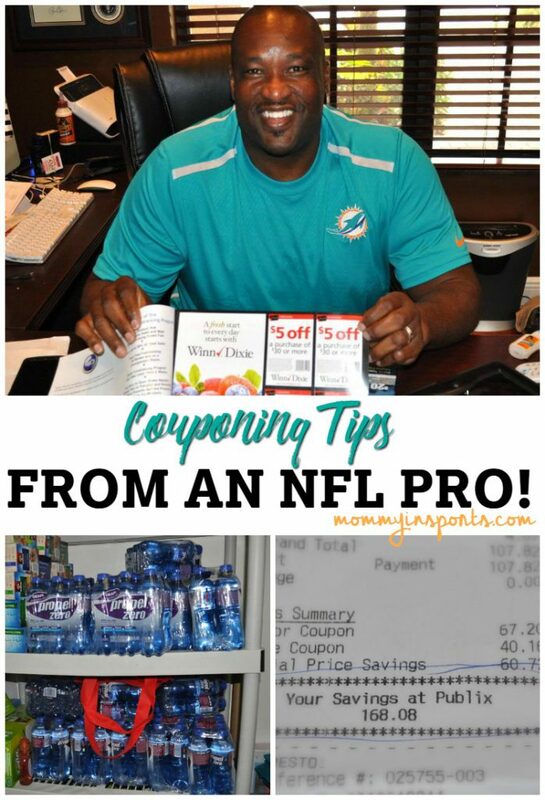 Learn couponing tips from an NFL Pro @ksims69! what’s your favorite grocery shopping money savings tip? Wow! I am seriously impressed. I have tried and tried to coupon, but it overwhelms me. I actually just wrote a post about how to save without changing your life. Obviously I am not saving as much as your friend, but something is better than nothing! I had no idea you could buy coupons on ebay…I might have to look at that. There’s not many things I use coupons for (you don’t see many coupons for produce and meat, especially organic) but there are certain things I could do better with. Thanks for sharing this! He is an inspiration…and so unlike most pro athletes. Glad you liked it, thanks so much for stopping by! First, my husband knows Keith very well: They had the same sports agent Alan Herman! When you see Keith, please give him my husband’s regards, and tell him Scott Conover says hello. 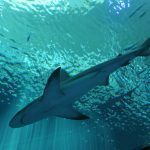 Great post, Kristen! Everyone can benefit from coupons! Thanks for stopping by and I loved your NFL post. Isn’t Keith seriously amazing? I still stink at couponing and think of him every time I pay full price! Happy SITS Day!!! This is awesome that your friends husband is an advanced couponer. I looks like he has quite the stockpile. My mother-in-law did this! We are still “shopping” in the basement pantry, four years after she passed. Wow. I am blown away. I have never done the coupon thing, but I was talking to a friend who does. She said that most of it was boxed/processed items, and since I am mostly fruits, vegetables, meats that it probably wouldn’t work for me. I seriously would love to save that on my grocery bill every week. Wow. great advice! I didn’t know you could buy coupons on Ebay! I think I’ll have to try that! 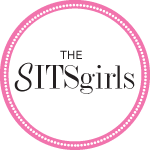 Hi, visiting you via the SITS girls. Wow! that is inspiring and encouraging as well. Most of us put it off and off, and off. Thanks for sharing! Hi! Visiting you via SITS. This is fascinating! I’m going to try looking at the weekly ads to plan meals. Thanks for this! It’s a lot of work, but I could see where it’d get addicting! Two hours a week! It’s a science! An art form. Also, I am envious because I love Publix. I can’t get enough of it when we spend our week or so down in Florida in the winter. I miss it! Ok, this got my attention. I am going to have to spend a little more time looking at coupons. So cool! I rarely pay full price, but haven’t been couponing as much lately. This gives me the motivation. Love that he does the shopping too! I’m one of those people who’s guilty of clipping coupons and always forgetting to use them. That, and I found that most of the products we use hardly have coupons. It’s always interesting to see how people can save money using coupons, though! And I agree that everyone should be frugal in some way or another. Wow, that is really impressive! 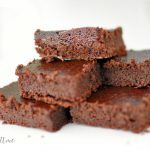 And here I was feeling good about myself for switching from Whole Foods to Trader Joe’s and saving a lot on groceries that way 😉 Thanks for sharing, these look like great tips. I’ve used coupons very few times at the market, It seems to be so time consuming. I’m a one supermarket girl and that’s it. My sister on the other hand visits 2 or 3. She’s more frugal than I am. But she doesn’t have kids. I honestly don’t want to run to several markets with a toddler, but If my husband wants to give it a go.. he can get tips from an NFL pro. My grandmother and mom always clipped coupons. I think it’s a great idea, and I really should make the time for it. It’s such a savings!